Lanzarote is a rocky paradise located in the eastern part of the Canary Islands. The island, recognized as a traveler’s haven, is brimming with attractions that evoke a tranquil marriage between nature and modernity. Its varied coastlines cradle some of the most pristine beaches in Europe, beckoning tourists from all over the globe with its year-long sunny days. Diverse picturesque places and exciting activities await everyone on the island. Get mesmerized by the caves of the north, the lush terrains of the central, and the bustling resort towns of the south. Soak up in the rich culture of its people, highlighted by each of its museums, churches, and surviving traditions. Starting our tour of Lanzarote in the south going east, sandy or rocky beaches and the clear turquoise waters of the Atlantic greet us. Experience the serenity of once fishing villages, now famous resort towns of Playa Blanca in Yaiza and Puerto del Carmen in Tias. Between these two lies the only underwater museum in Europe, Museo Atlantico. Nearby, we find six stretches of pale golden sand beaches and various scenic coves in the world-renowned Punta del Papagayo. Not too far off, at the southwestern coast of the Lanzarote, are the stunning seascapes of El Golfo and Lago Verde. Half of El Golfo’s crater has eroded out into the sea, creating a unique environment of black and red volcanic formations kissed by the sea. Travelers also marvel at Lago Verde, a moon-shaped lagoon filled with perpetual green water. Further up, just above Yaiza, is Timanfaya National Park and the neighboring Fire Mountains. It’s 51 square kilometers of eerie, moon-like landscape of dark-colored geologic formations. Ride a camel from the safari and explore the whole place, or dine at El Diablo Restaurant, where meals are cooked in front of guests, utilizing the heat of the earth below. Moving inland, we arrive at San Bartolome, the agricultural center of Lanzarote. Located in the middle of the island, in between the Mina and Guatisea mountains, this little country town produces watermelons, pumpkins, and sweet potatoes for the Islanders. And to honor the sacrifices of the working class, Cesar Manrique built Monumento Al Campesino, a collection of clean white statues depicting the islanders’ way of life. 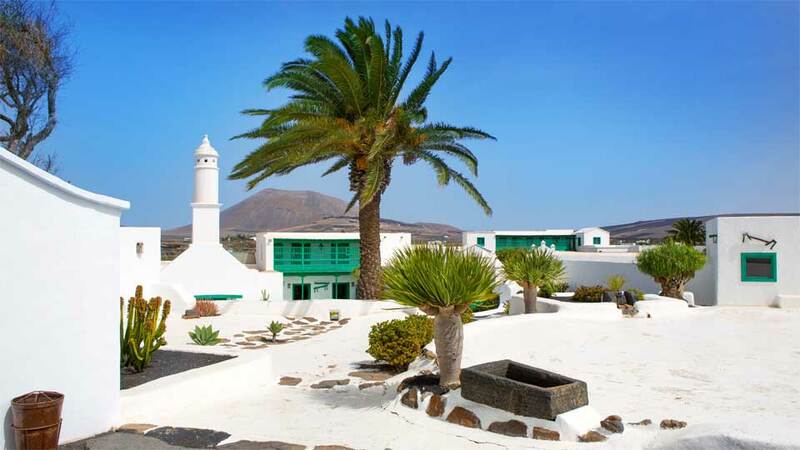 In Teguise, guests take in stylish arts and raw nature in the late artist’s former house, Fundacion Cesar Manrique. The museum used to be his dwelling place. It was built from several existing lava bubbles and enhanced by architecture. While in town, don’t forget to check out the Sunday Market, as well as the old church by the town’s square. 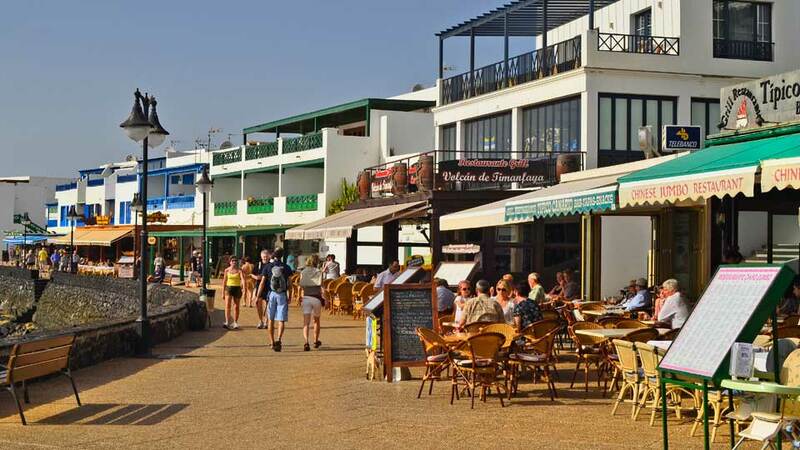 No trip to the center of Lanzarote is complete without a visit to the island’s capital, Arrecife. Walk along the harbor and gawk at the blueness of the water and the many ships docked at the marina. Better yet, head to Calle Leon y Castillo and get a taste of the culture in the midst of the town’s shopping center. 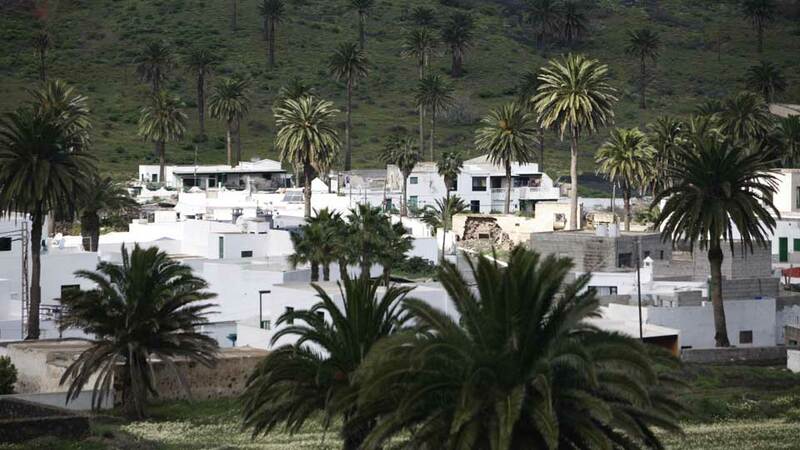 Finally, going up north, we find Haria, the municipality which nestles a town of the same name, known to many as the “Valley of a Thousand Palms.” The lush area is home to the house-turned-museum of Cesar Manrique. Traveling towards the northeast, the mystical Cueva de Los Verdes boasts of an underground concert hall at the end of a well-lit multi-colored cave. Further to the northeastern coast is another of Manrique’s masterpieces. Jameos del Agua is a series of natural grottoes converted into an auditorium and swimming pool. While they harmonize, the dark lava formations inside the caves present a beautiful and stark contrast to the white modern architecture. Out into the northern coast, small fishing villages of Orzola and Arrieta gives us a glimpse of the island’s unspoiled ways. Lastly, the grand finale of our tour of Lanzarote is Mirador del Rio. The most famous viewpoint hugs a cliff and offers incomparable views of the La Graciosa Island across the northwestern coast. Enjoy a cup of coffee while contemplating on how infinitely exquisite Lanzarote is.